I’ve been thinking of other things to post about on my blog lately, besides the usual makeup review/Disney/DIY posts and I was thinking every Monday I can do a music post. Whether it’s a playlist, a song I’m obsessed with, a band I love, these posts will be about one of my favorite things in life: music. This week, I thought I’d share a playlist of some songs that I’ve been listening to on repeat at the moment and some others that I just love. I’ll also include a link to the songs on YouTube so you can check them out and have a listen if you choose. This playlist consists of all genres of rock music. 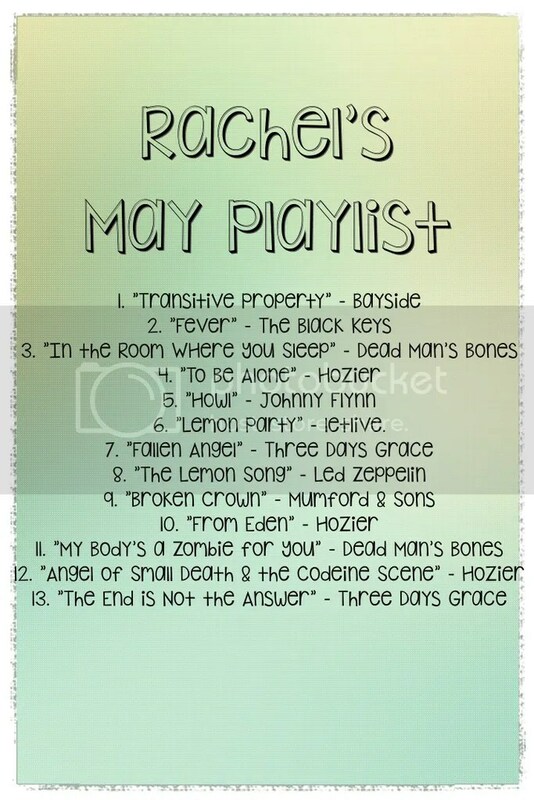 It ranges from folky type (Hozier) to punk (Bayside) to classic rock (Led Zeppelin). I hope you enjoy! If you have any bands/artists/songs that you’re listening to at the moment and would like to share, feel free to leave them in the comments below! I love finding new music to listen to! Thanks for reading!